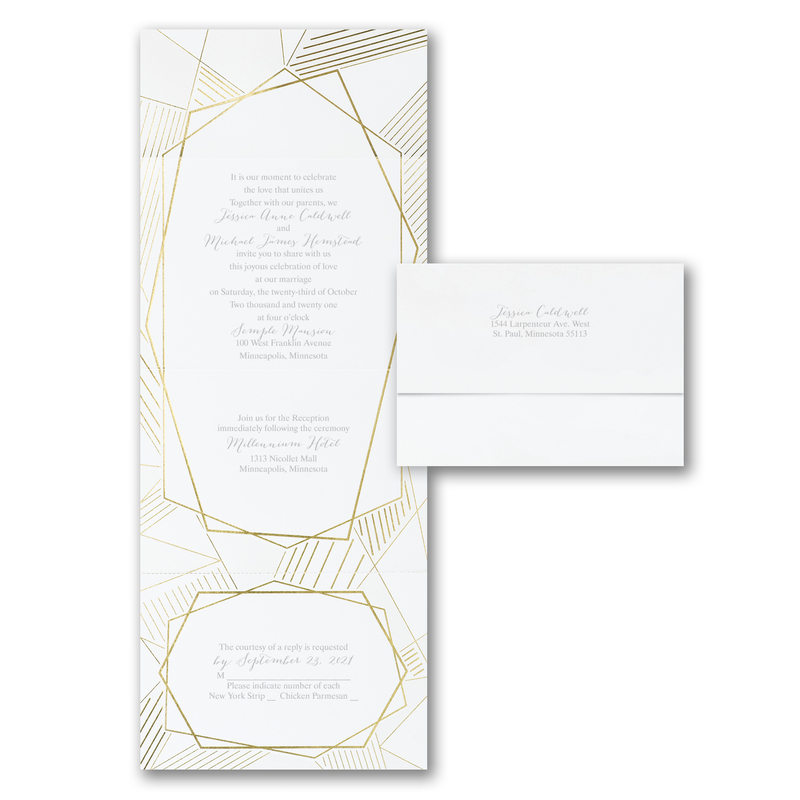 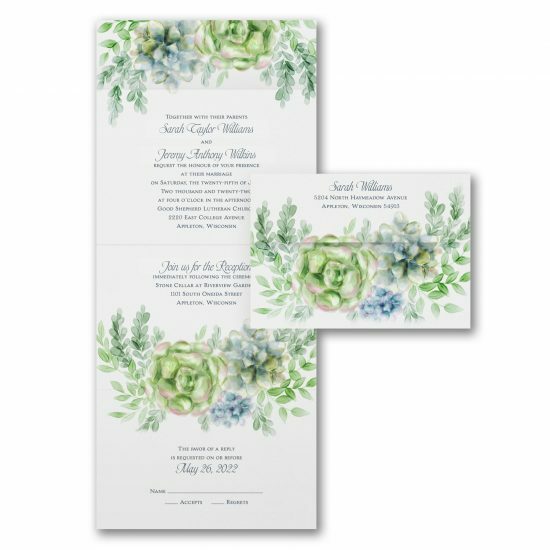 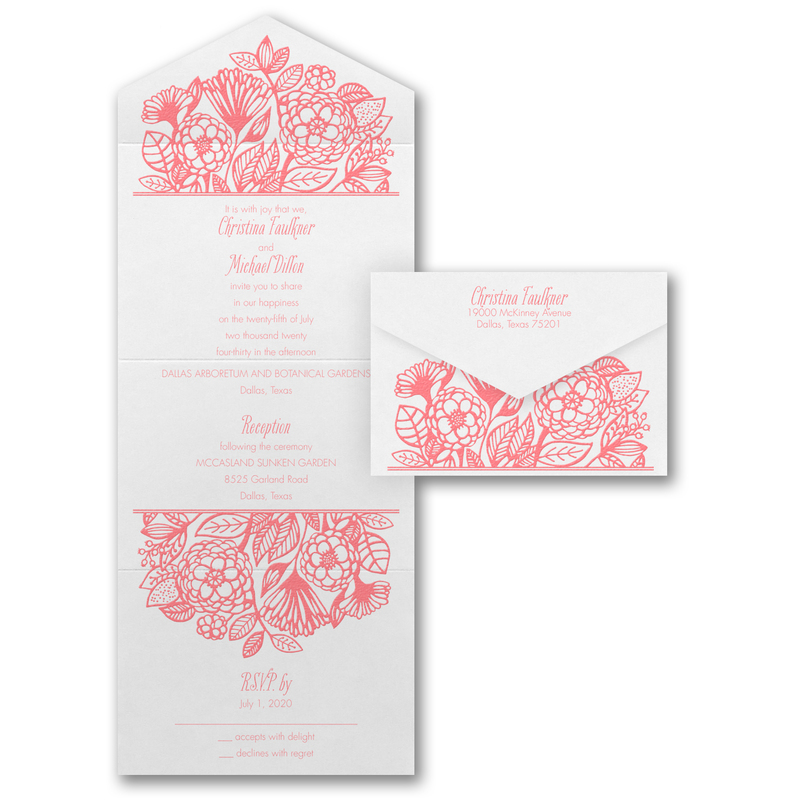 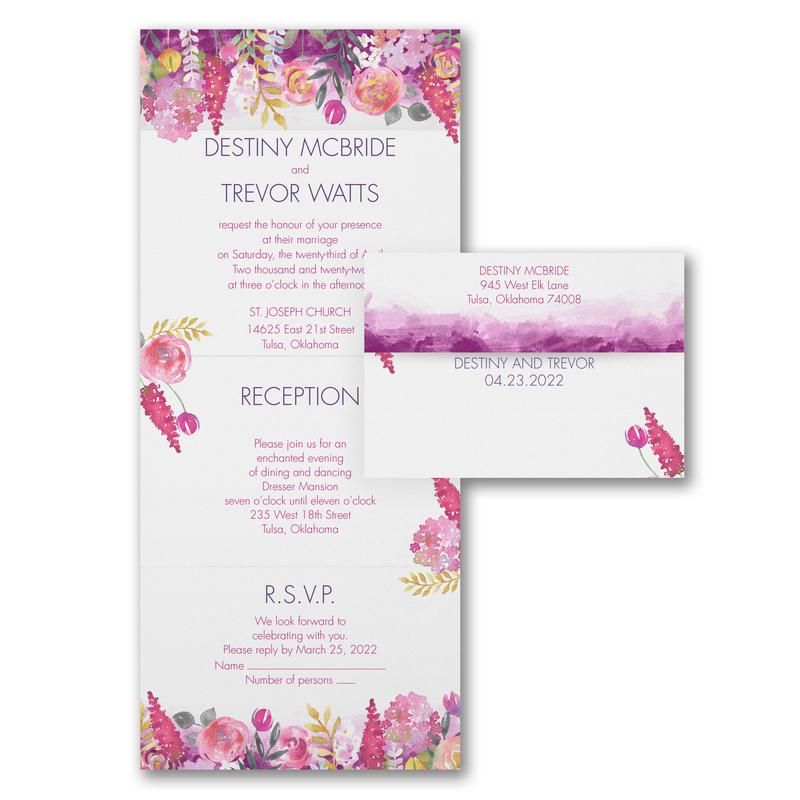 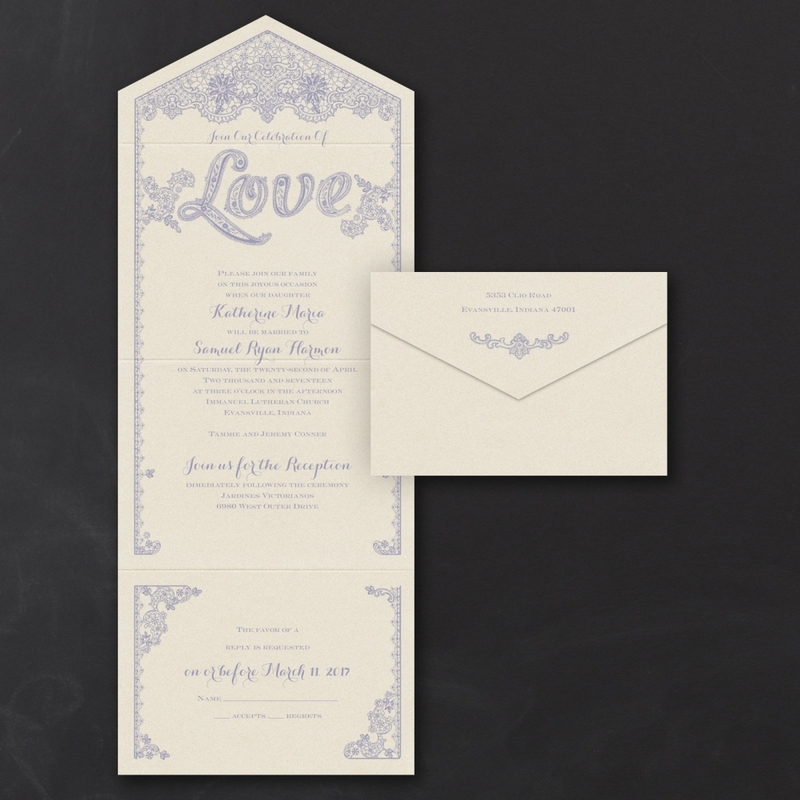 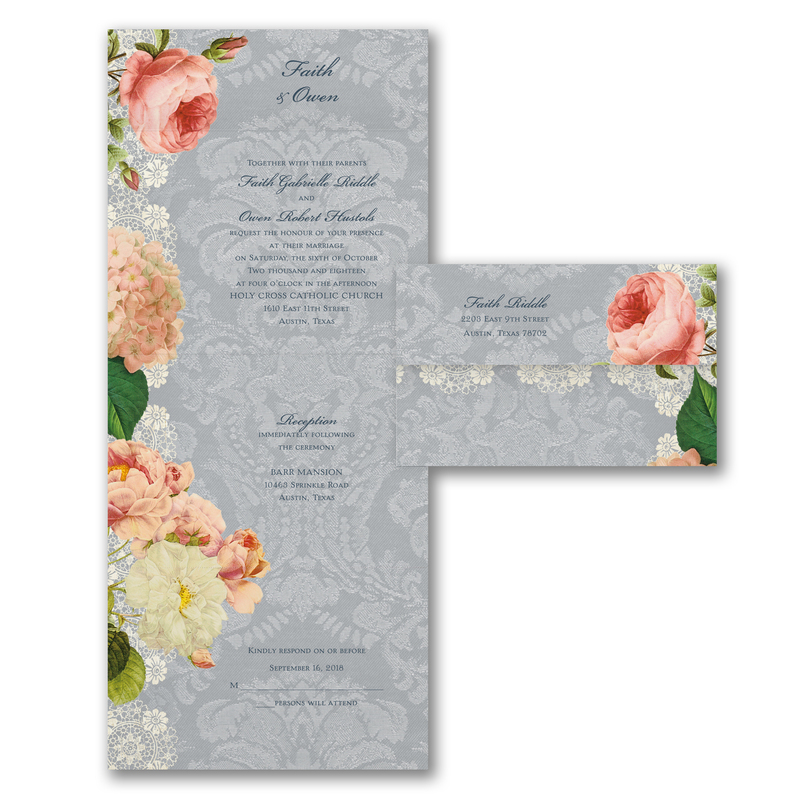 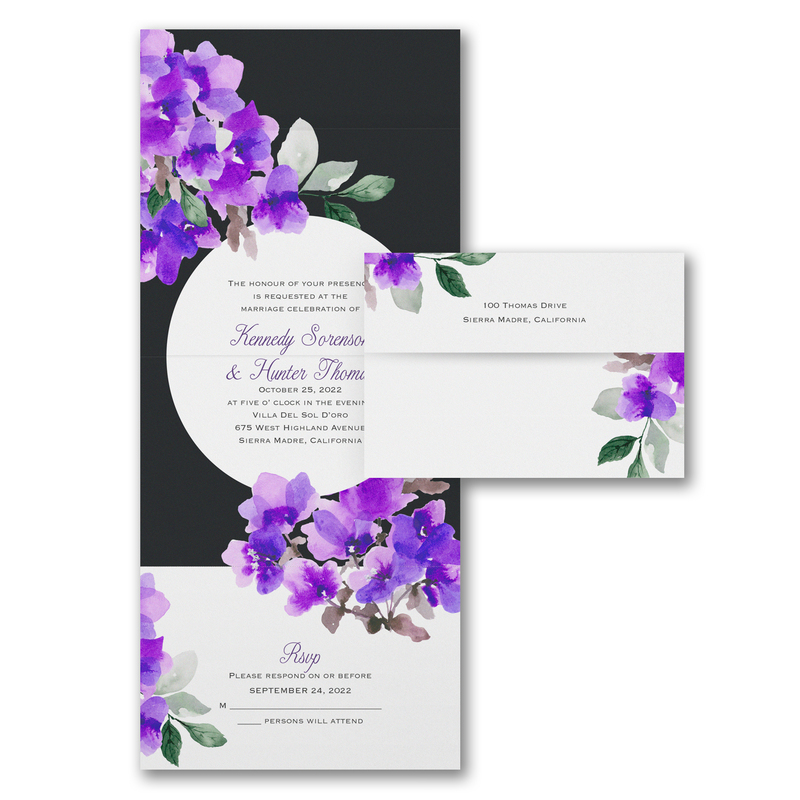 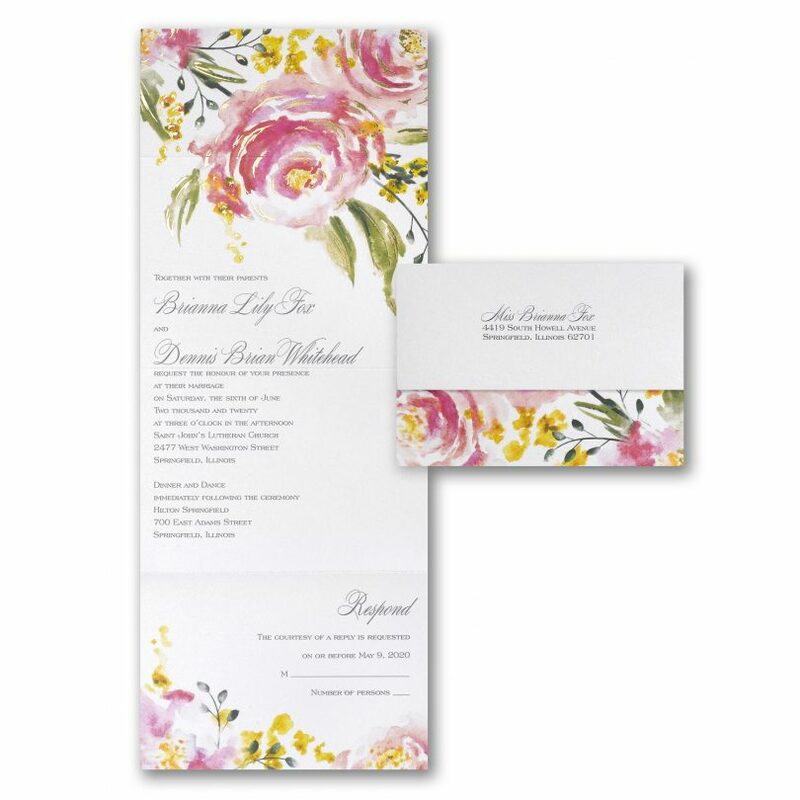 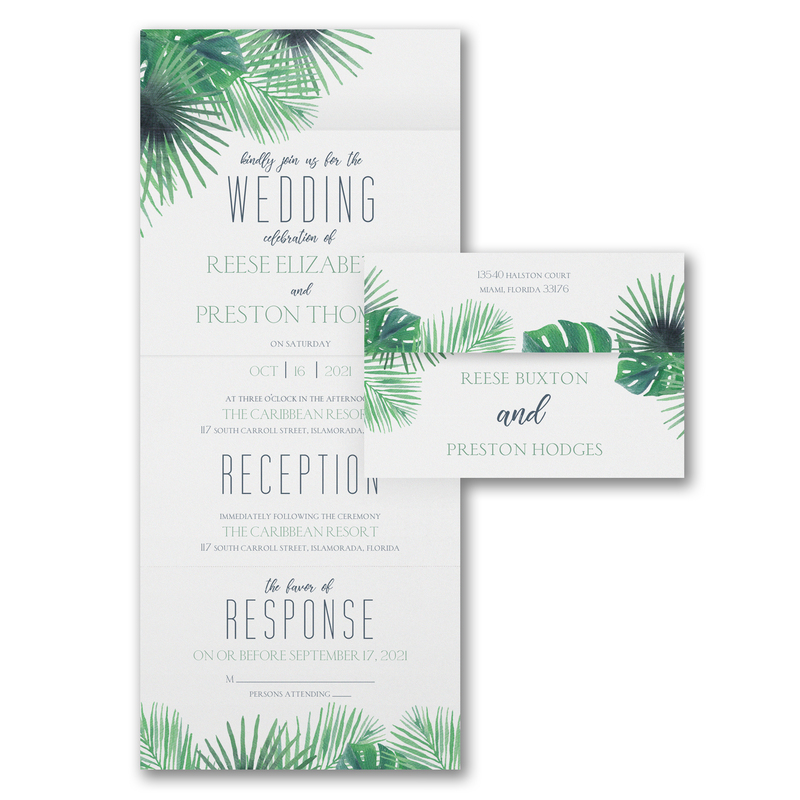 Persnickety is happy to offer a wide array of unique and gorgeous wedding invitations in our studio, including stunning invitations for the budget conscious bride. 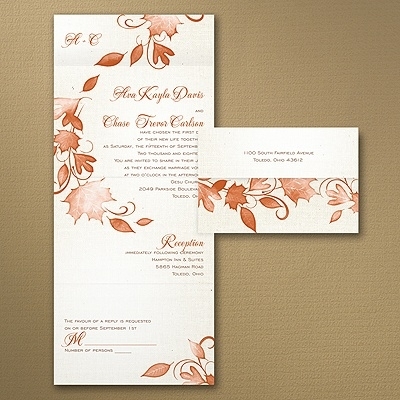 You do not need to splurge to have a memorable, one-of-a-kind invitation that your guests will be raving about. 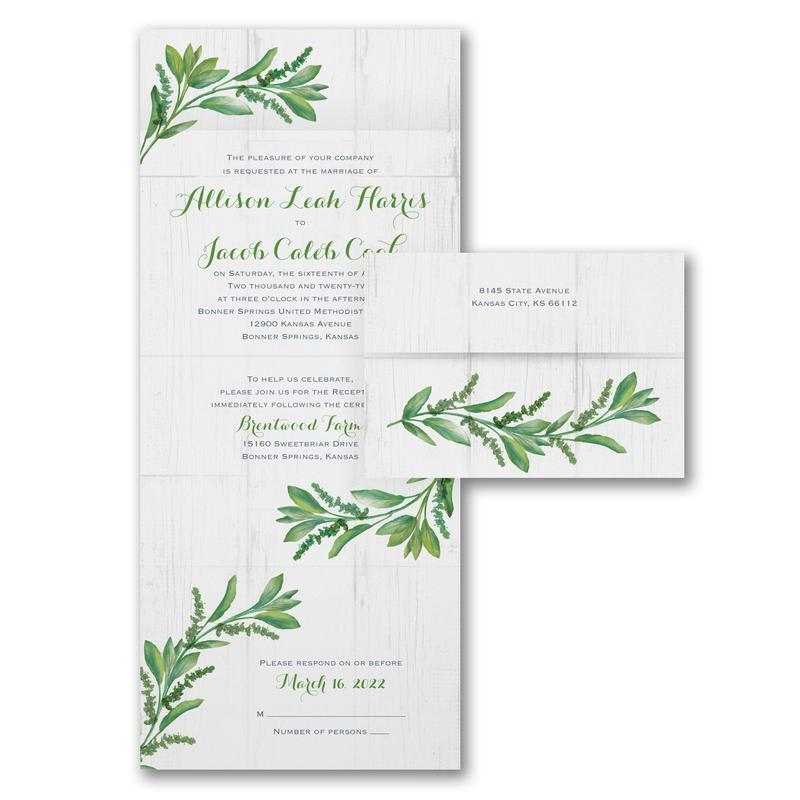 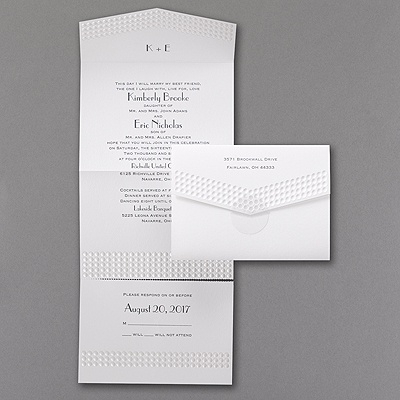 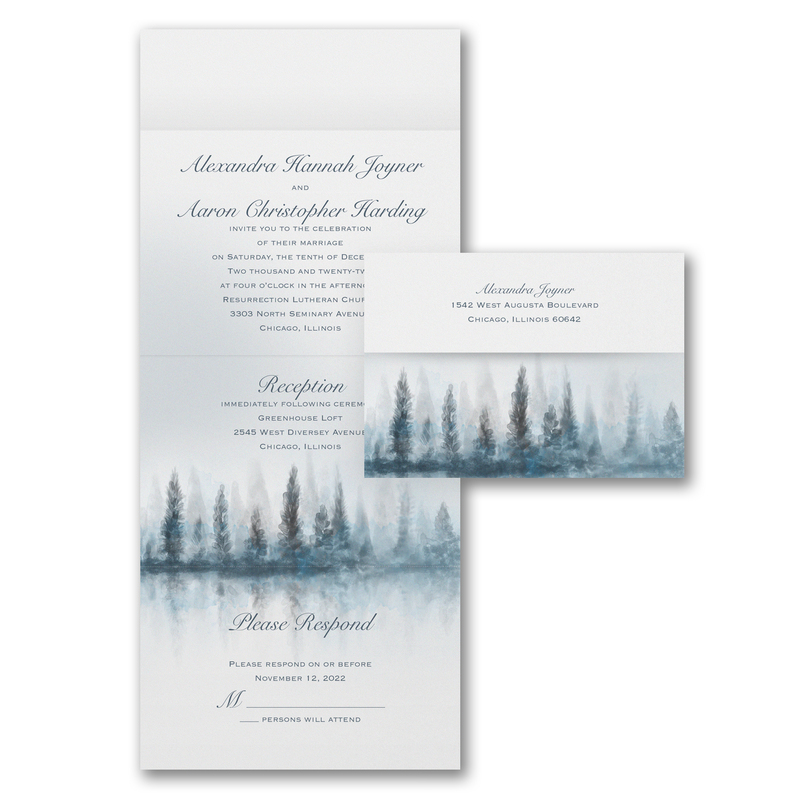 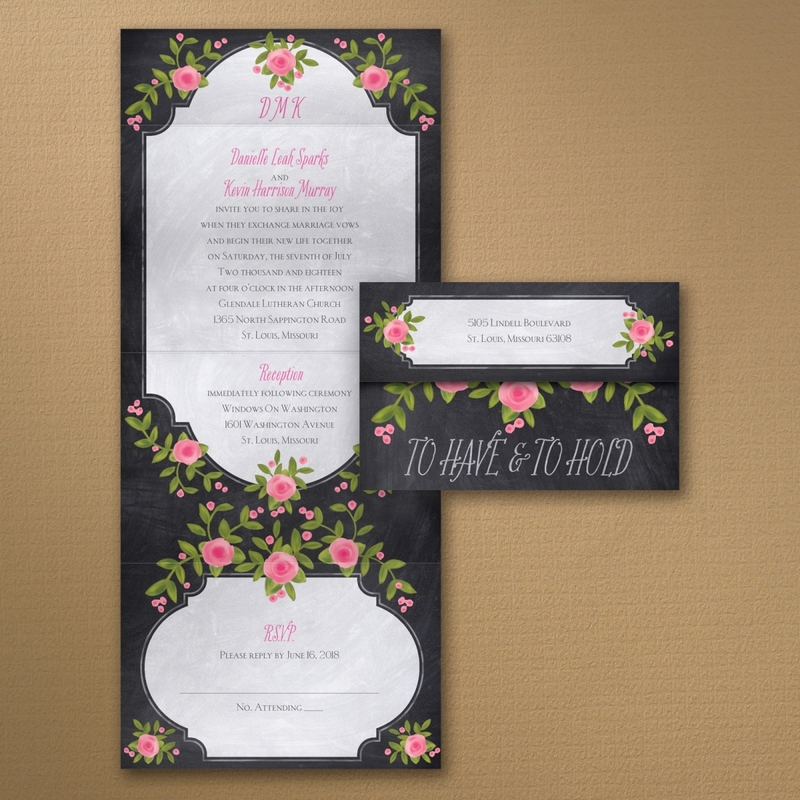 If you are looking for an invitation to match your personality, wedding theme, or chosen colors but are keeping your budget in mind, might we suggest one of Carlson Craft’s seal ‘n send invitations? 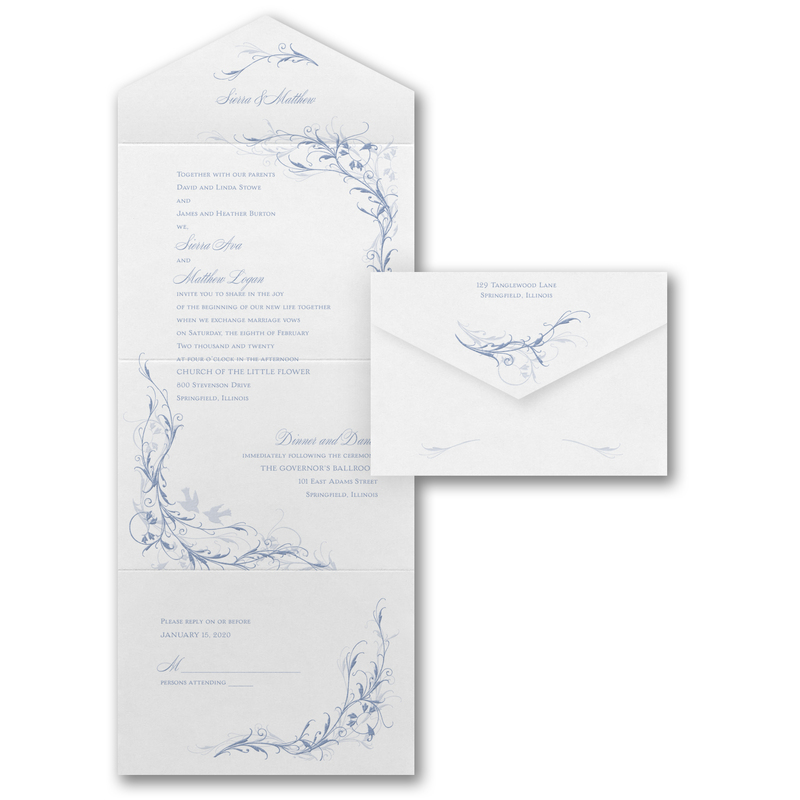 What are Seal ‘n Sends? 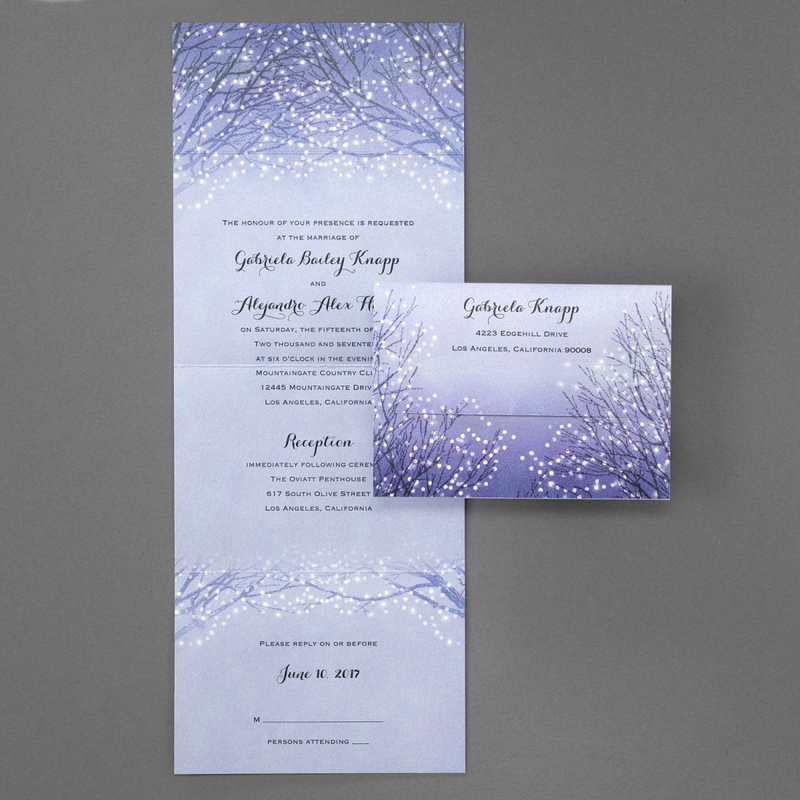 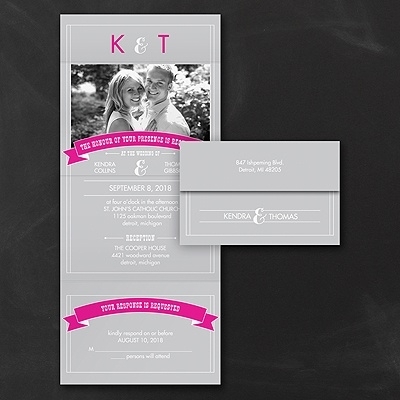 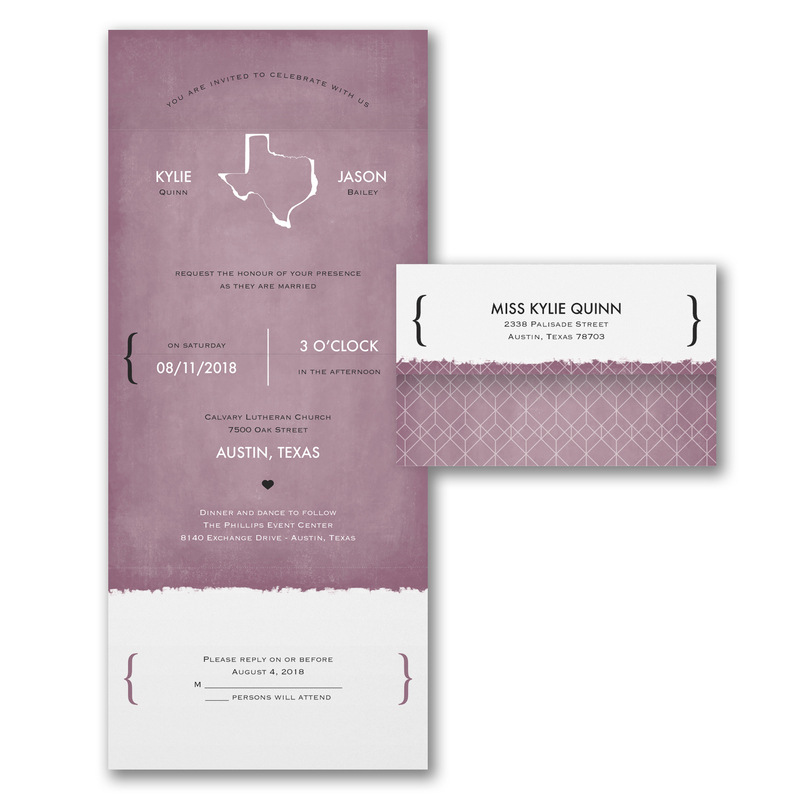 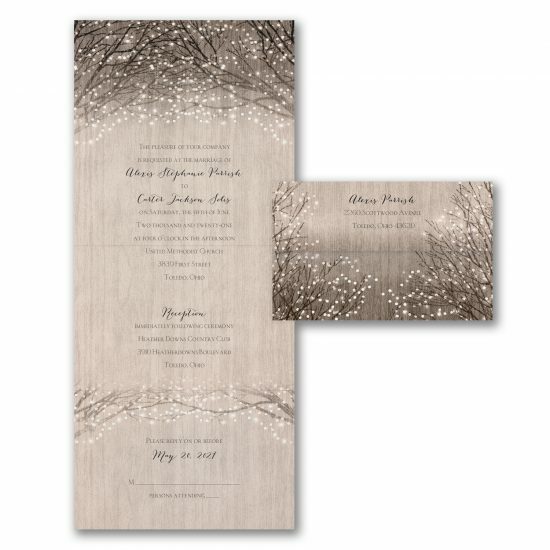 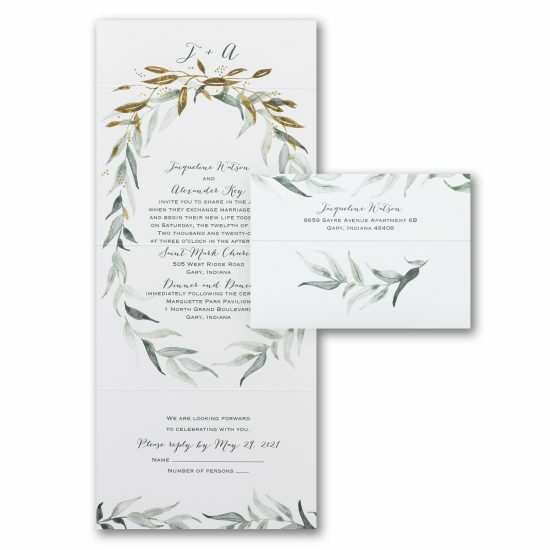 Seal ‘n sends are a unique option for wedding invitations. 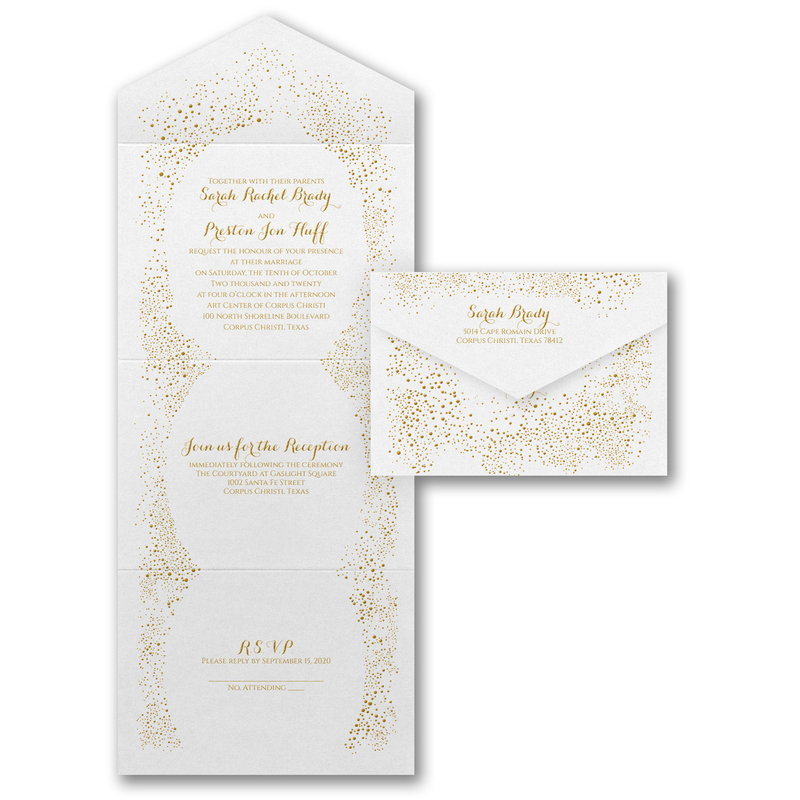 Your guests are sure to be excited to receive these beautiful pieces! 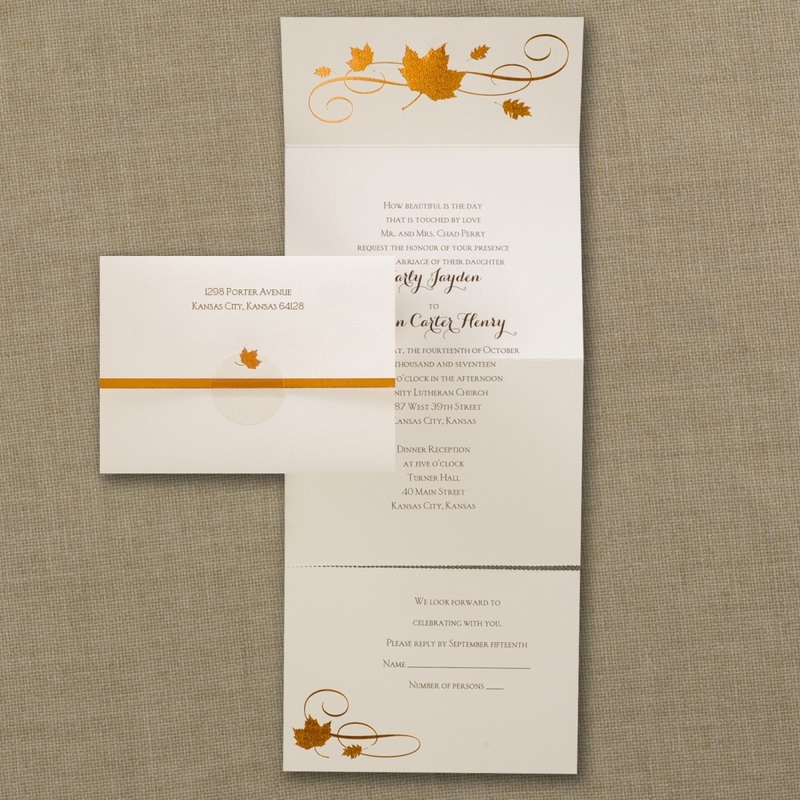 Seal ‘n sends are a bit more budget friendly because they are one press run. 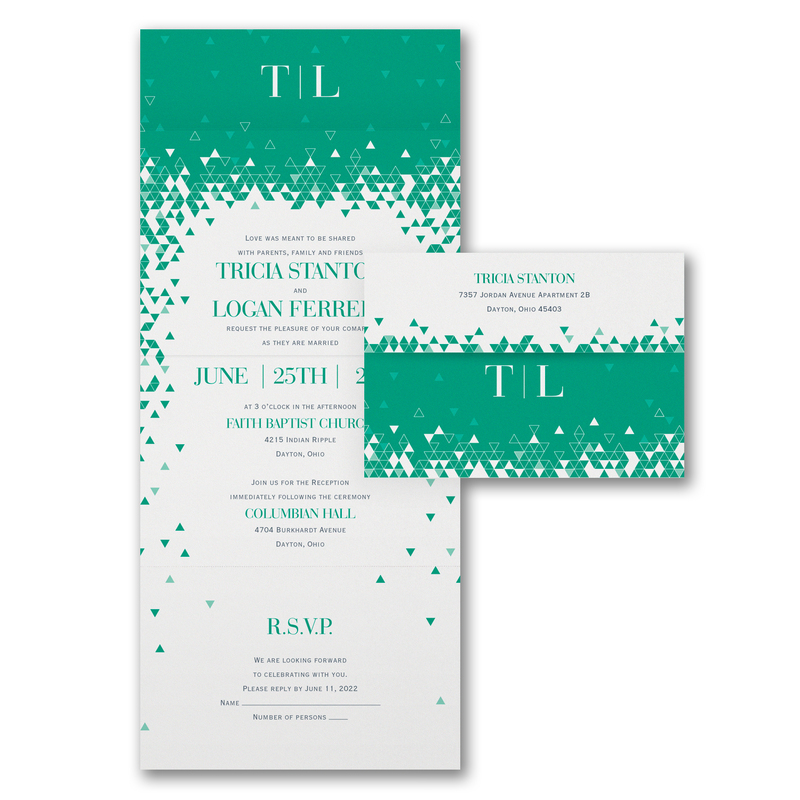 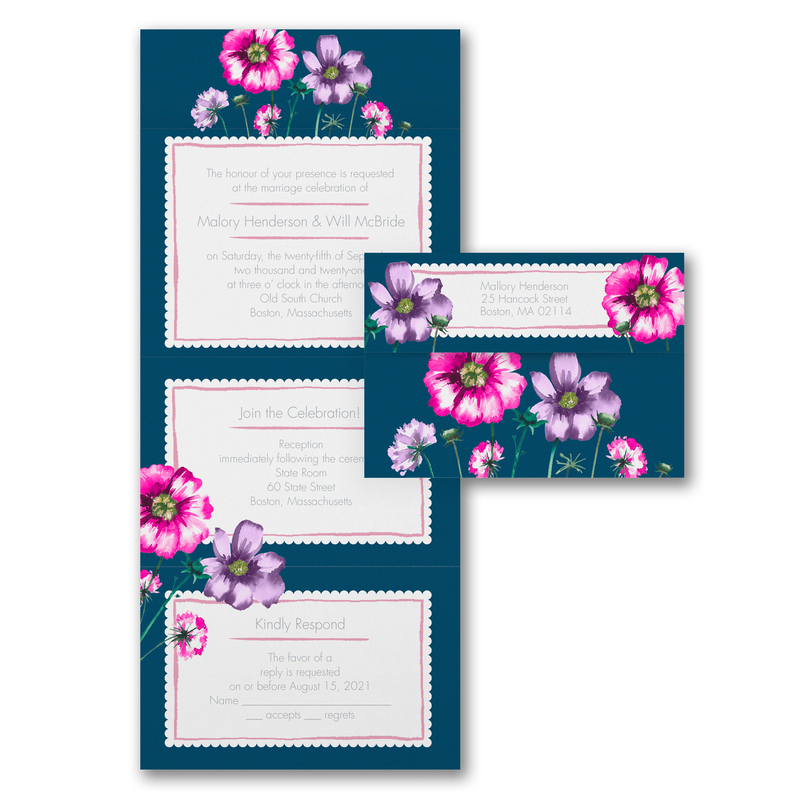 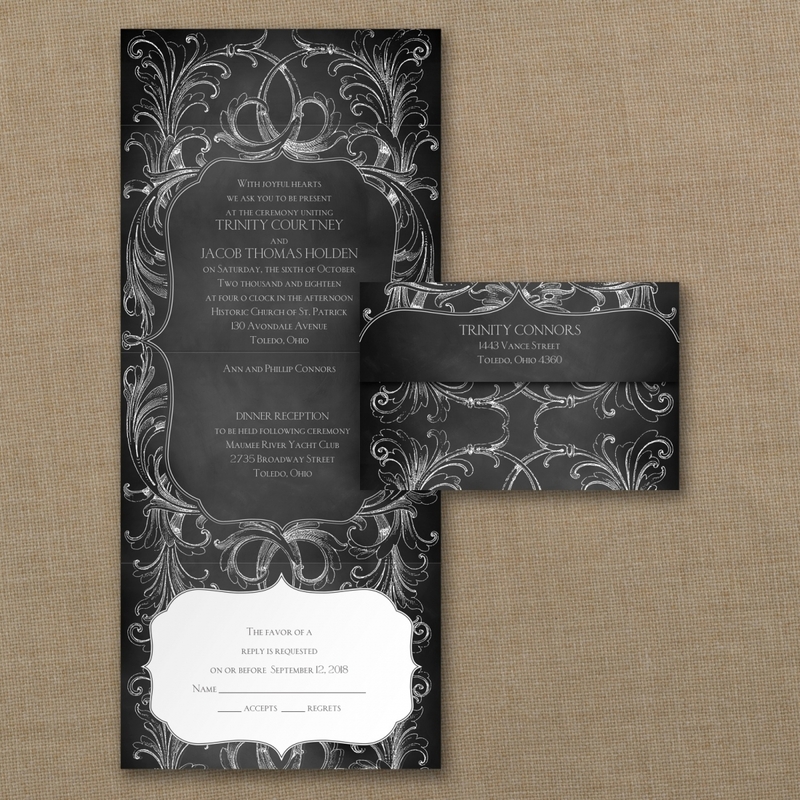 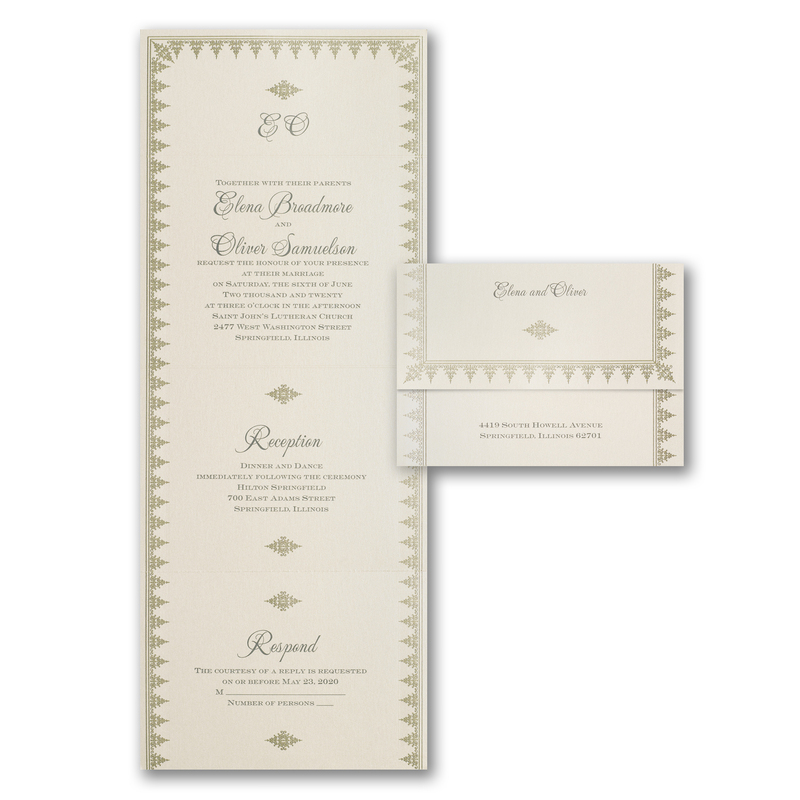 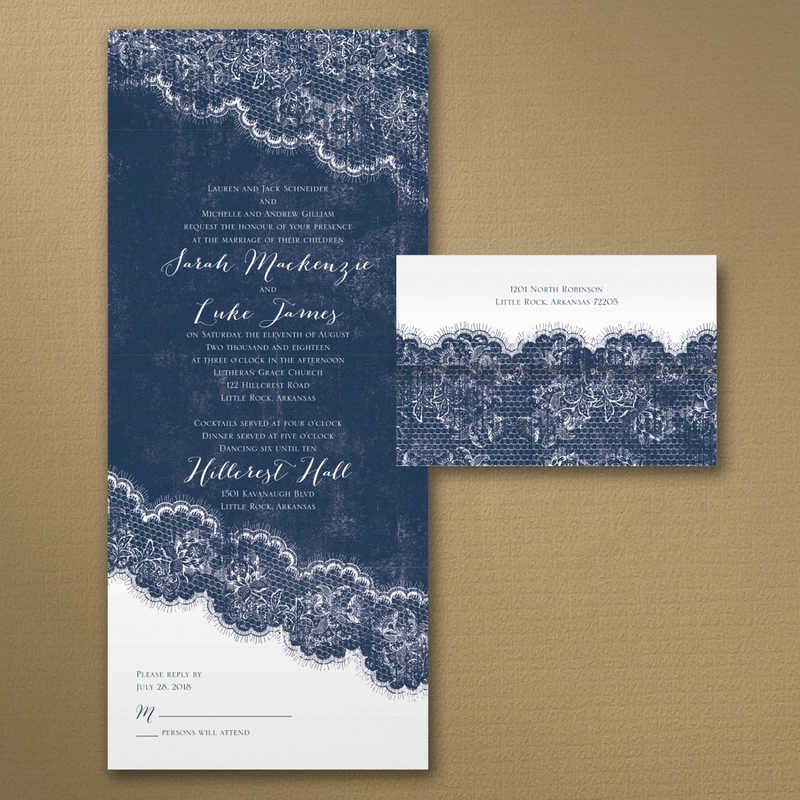 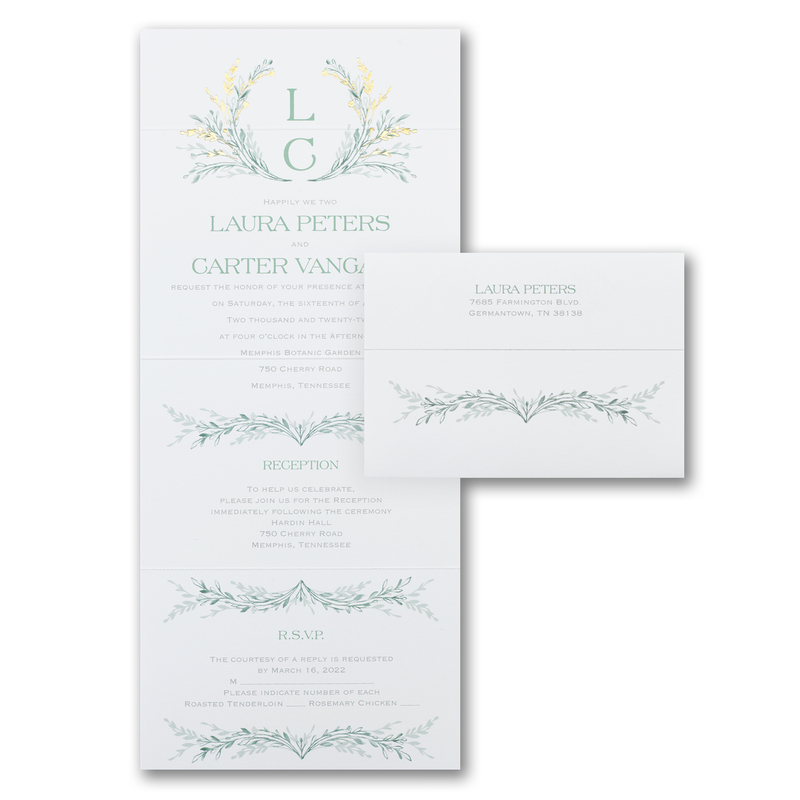 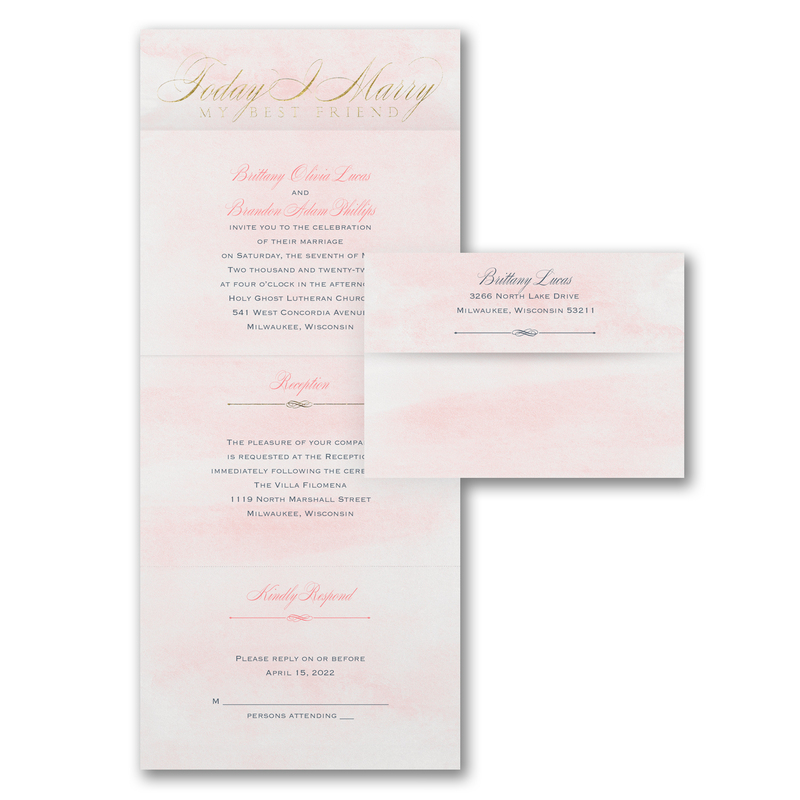 All the pieces of the invitation are printed on one sheet with a perforated response card. 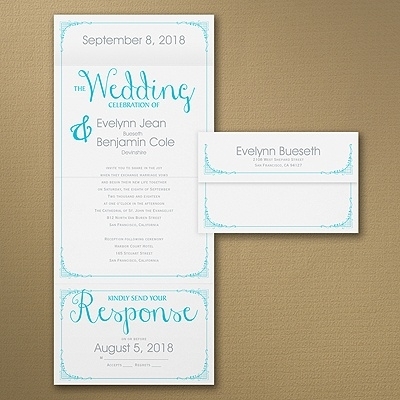 The response card is a postcard, making it easy for your guests to mail their responses back without the hassle of an envelope. 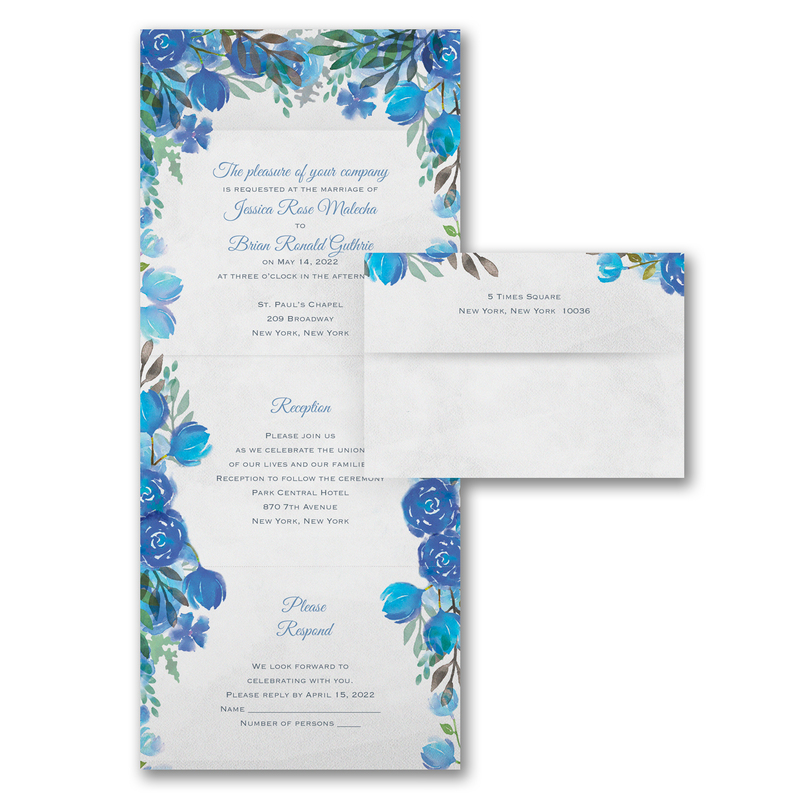 Because you will provide the postage for the response postcard instead of traditional envelope postage, it will be helping you to save a little on your response postage! 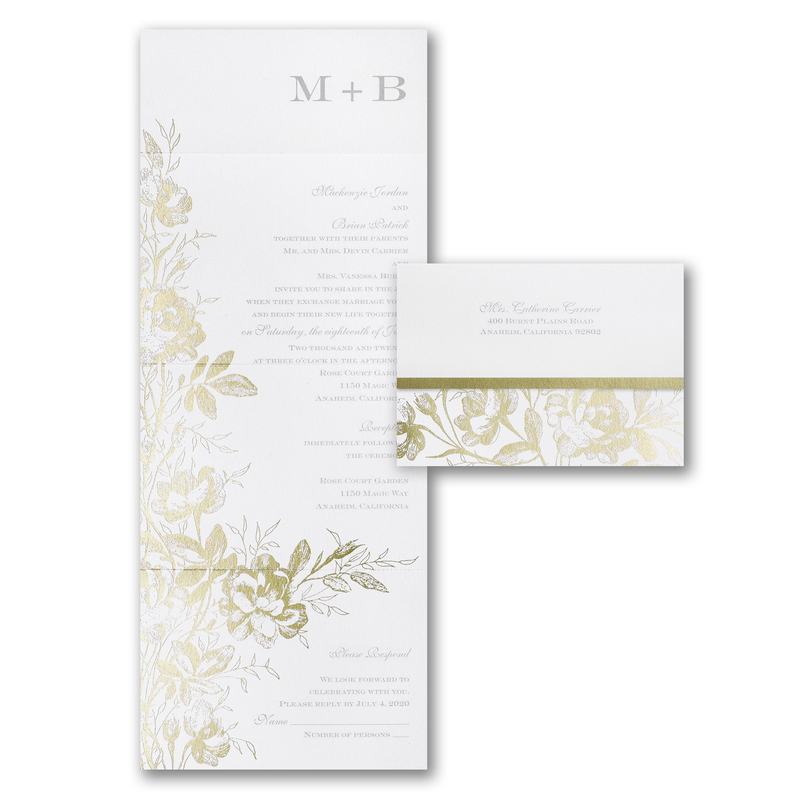 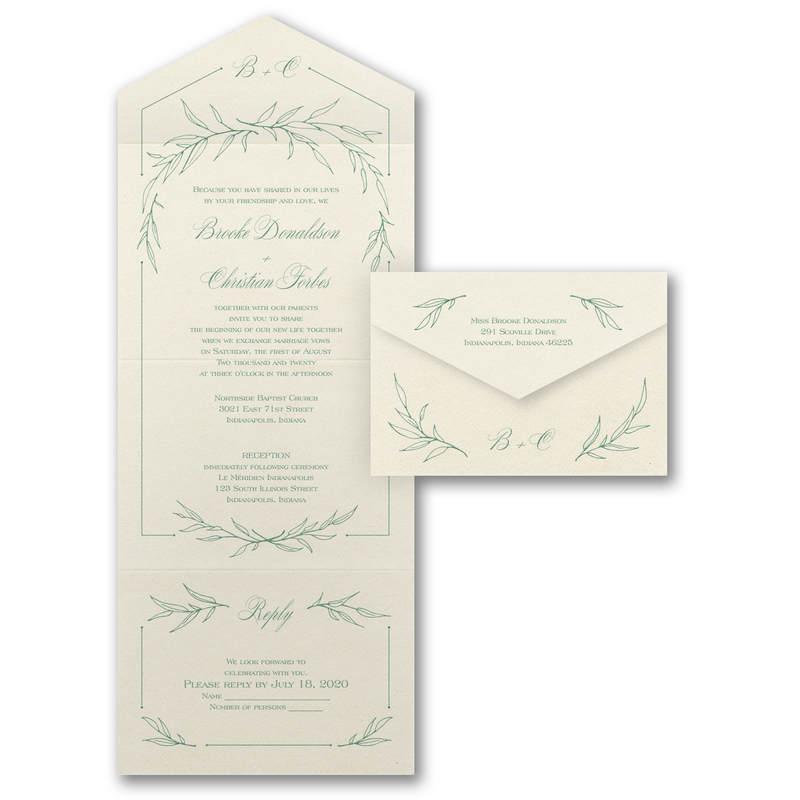 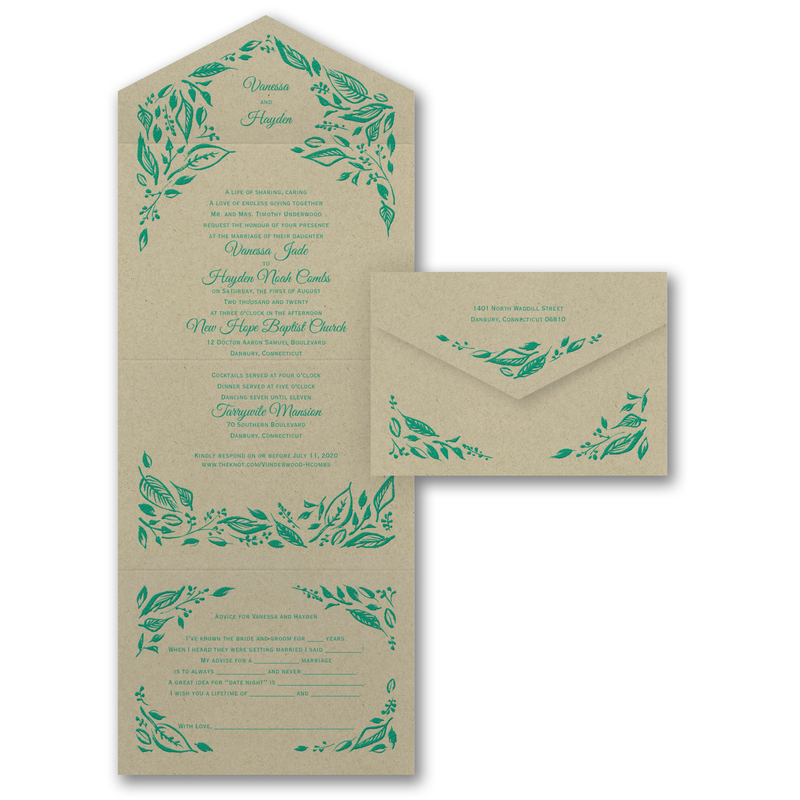 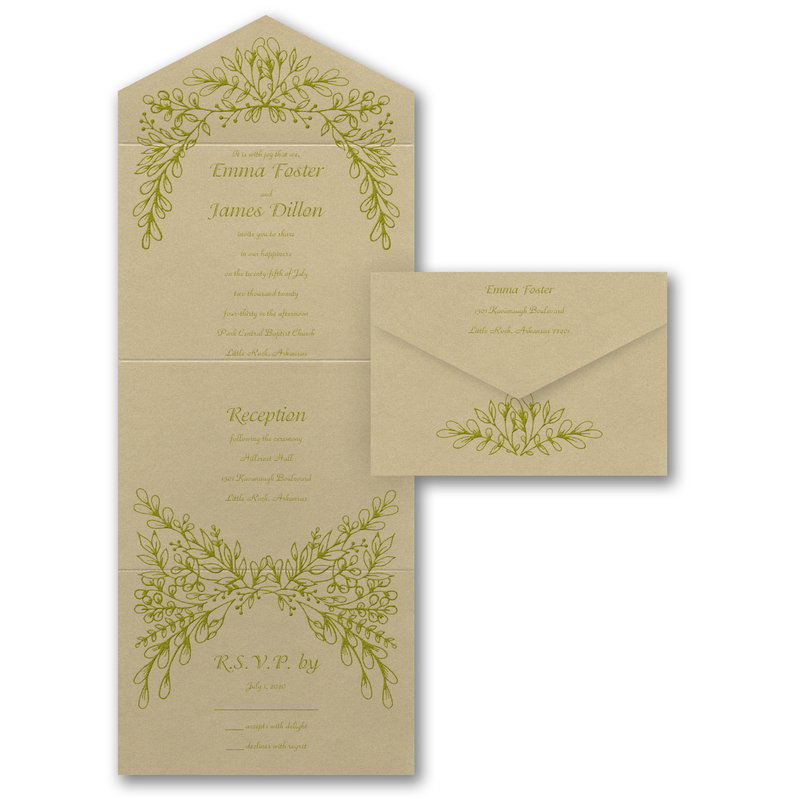 Each seal ‘n send comes with clear seals to place on each side of the invitation, as well as one to hold the flap shut. Personalized seals are also available to order. 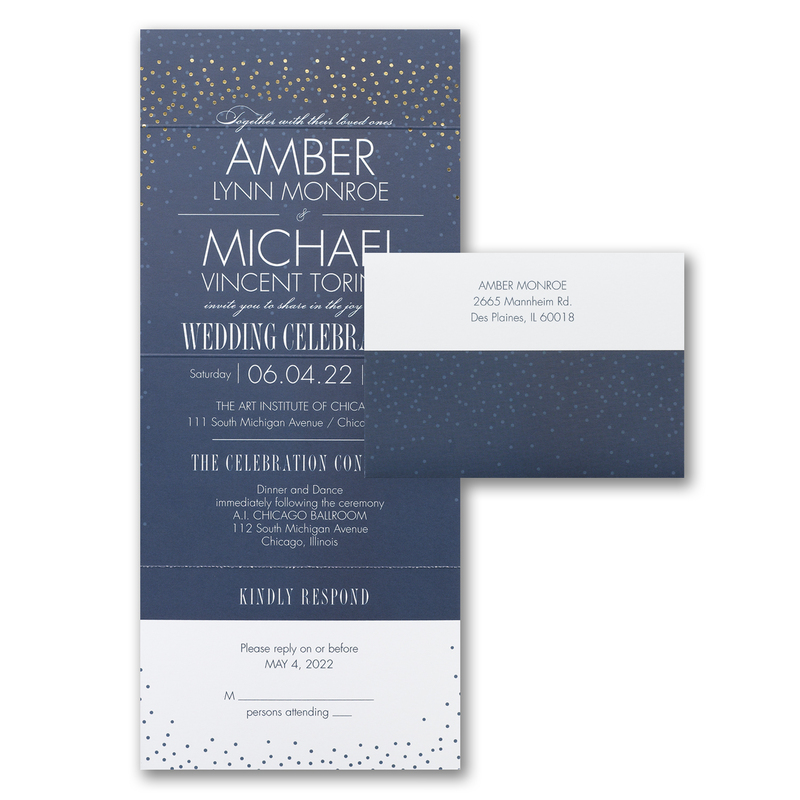 Seal ‘n sends are also a bit more customizable than some other album invitations in that you can choose the paper color, the design or motifs, the artwork and text color, and the typestyles. 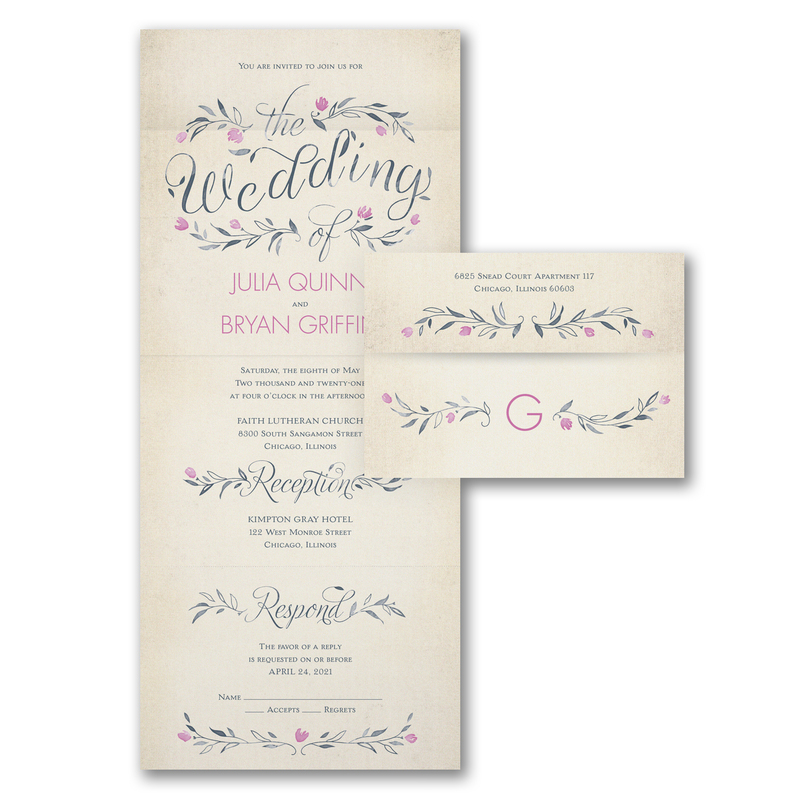 There is also a wide array of designs for seal ‘n sends, from the fun and whimsical to the elegant and traditional; there is something for every bride! 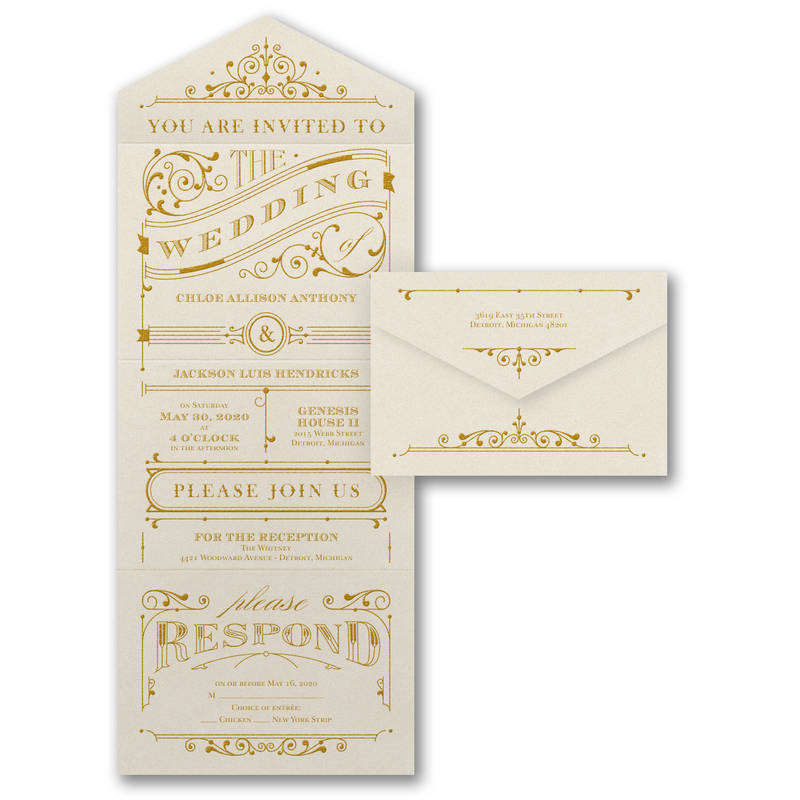 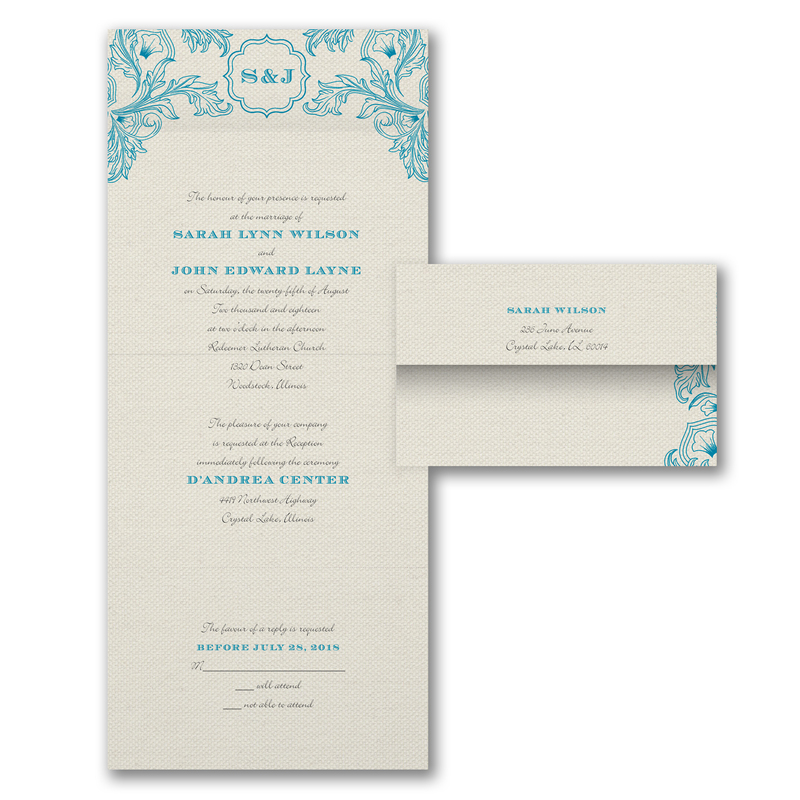 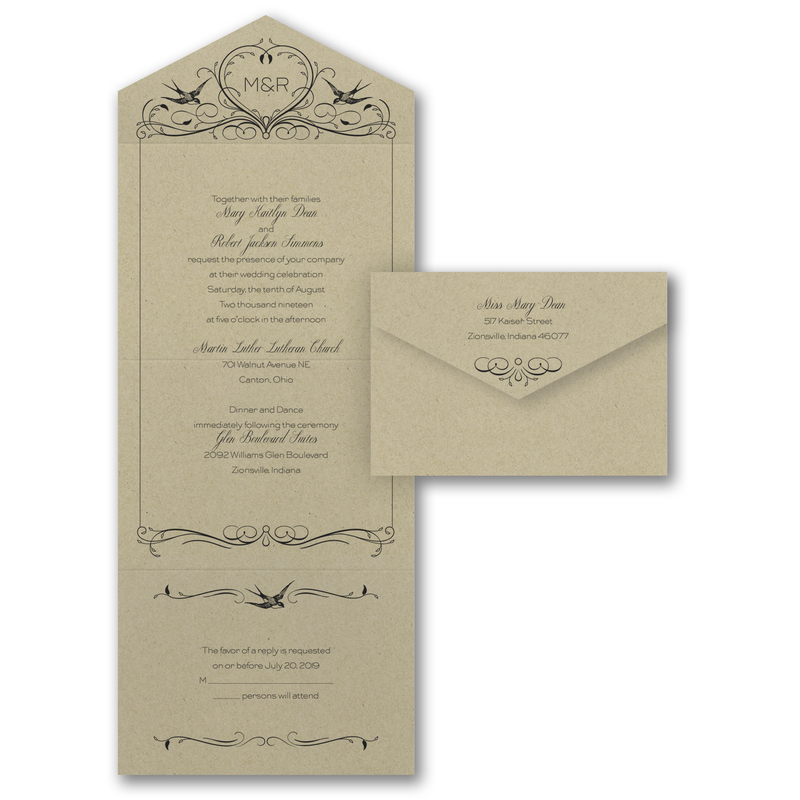 We’ve included some of our favorite seal ‘n send invitations below. 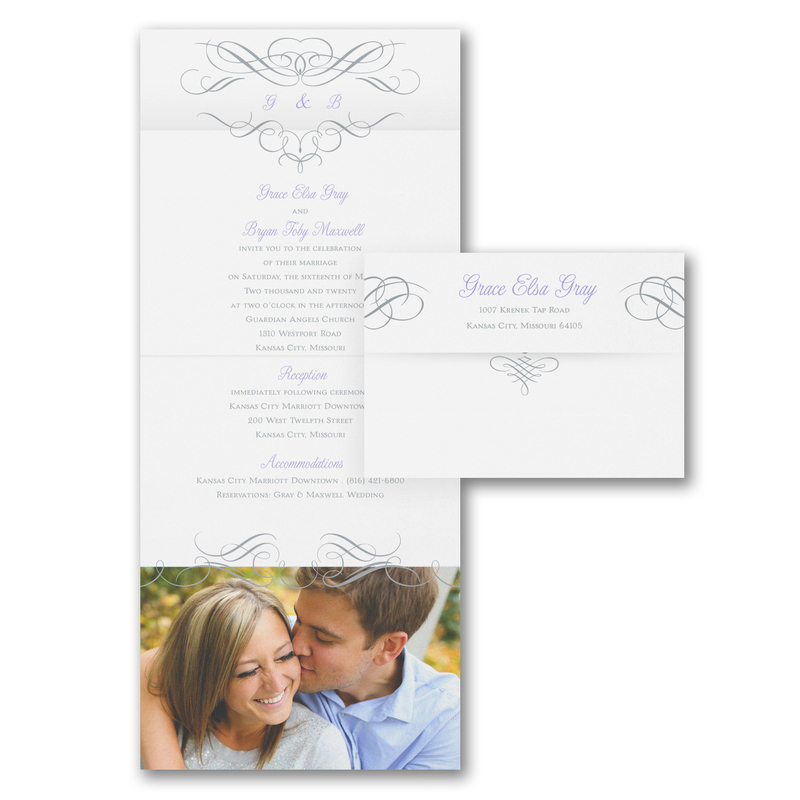 Schedule your appointment with an invitation specialist here, and let us help you find the perfect seal ‘n send for your perfect wedding day.